Catahoula Bulldog is considered a dog of medium to large sizes, reaching up to 66 centimeters at shoulders and weighing up to 46 kilos. The muscular, sturdy build of the Catahoula Bulldog was inherited from the American Bulldog parent. Their coats are smooth and short. During colder periods, these dogs develop an undercoat, although they don’t usually have one. They can come in a variety of colors, either single colored – black, white or brown, either with multiple colors, a combination of these already mentioned. The eyes of the Catahoula Bulldog can also come in a variety of colors, such as dark brown, soft brown, emerald green, amber, gold, blue or combinations of these. Heterochromia is also likely to be present. These dogs tend to use their ears, which are sometimes button over and other times like rose type, in an expressive fashion. Sometimes their ears are cropped. The tail is most often long, but it can also be a natural bobtail. People used often the Catahoula Bulldogs as working, hunting or guard dogs, but they are also very good companions. Loyalty and devotion to their masters are defining, making these dogs very protective of their family. However, they are calm natured dogs and only sometimes become alert to various triggers in the surroundings. The Catahoula Leopard genes passed on the herding characteristics to the Catahoula Bulldogs, therefore these dogs are very skilled at herding, using intimidation as main tool. With regards to hunting, the Catahoula Bulldog acts with intelligence and the strong, muscular build and the strong jaw grip inherited from the American Bulldog allows them to excel at catching hogs and to manage very well in bear hunting, too. The Catahoula Bulldog breed has a history of over one hundred years and most of it is located in the southern areas of the US. This breed came as a response to the ranchers who wanted to have an all-in-one dog, for herding and hunting. The Catahoula Leopards were very good at hog hunting, luring them in pens, but they were not strong enough to catch hogs by themselves. 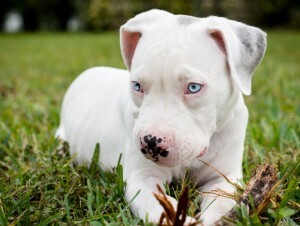 The American Bulldog brought all the necessary size and strength elements, which combined swell with the intelligence, endurance and speed of the Catahoula Leopard. Therefore the result was an obvious success by combining all these great characteristics of two dog breeds in just one, who proved to be excellently skilled at herding and hunting. The registration of Catahoula Bulldog began in 1951, at the Animal Research Foundation’s initiative, through Mr. Stodghill. Later on, the process was continued by Howard Carnathan, which managed to become officially the first breeder of Catahoula Bulldogs, certified by ARF in 1968. 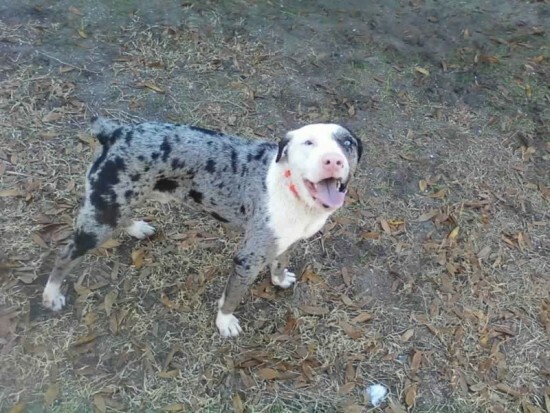 He was the first who claimed the need for a dog that would be both a good companion and a very good protector for his children and it seemed back then that the Catahoula Bulldog was the best candidate to satisfy these needs. It is important to note that there are several niche breeds that are currently in process of being developed besides the Catahoula Bulldog, such as the Olde Boston Bulldogge, the Buldogue Campiero, the Old English Bulldogge and others. 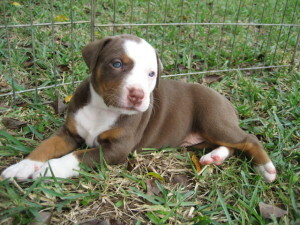 This entry was posted in American Bulldog Mix, Catahoula Leopard Mix. Bookmark the permalink.